In this video we discuss Big Toe Arthritis and advanced treatment options available at UFAI. What's Hallux Rigidus (Big Toe Arthritis)? The big toe joint (called the hallux metatarsal phalangeal or MTP joint). If there is a genetic predisposition to limited joint motion here the eventual osteoarthritis will cause pain and decreased function. Hallux Rigidus is a disorder of the joint located at the base of the big toe and is caused by genetics or overuse. Patients who have risk factors should seek treatment from a foot doctor before it becomes a continuous cycle of pain and jamming of the joint. Hallux Limitus vs. Hallux Rigidus: what's the difference? Q. I am a runner with Hallux Rigidus. I was wondering if I will still be able to run marathons after surgery? Q. Do you use the Hemi joint implant for hallux ridigus treatment? Q. If there is no movement in the big toe will PRP or stem cell therapy help? Q. I have hallux rigidus on both great toes and surgery was recommended. Can surgery be done on both feet at the same time? Q. I have rheumatoid arthritis in my big toe and is there is a procedure that would involve joint replacement instead of fusion? Q. If the arthritis is severe (there is no motion of the great toe, the great toe is deviated into the second toe and the bones are pressing into each other) is Cartiva implant an option or must I go with a fusion? Q. I have heard that arthroplasties of the big toe don't last long and that the Cartiva implant is a great option for hallux rigidus. Can you tell me how long the Cartiva implants last? Q. I am a hiker (and former runner). I developed hallux rigidus 8 years ago in both big toes and had cheilectomy surgery. I got some relief from the surgeries, but am now back to pre-surgical pain. Are there any new procedures that can help with range of motion and pain, other than fusing the joint? Osteoarthritis of the big toe joint degenerative arthritis and is a progressive disease, the early stage of big toe arthritis is called Hallux Limitus, which is a condition where the motion is limited in the joint. As the disease progresses, the condition is referred to as Hallux Rigidus, which is when the joint is rigid and unable to move. Pain and stiff big toe when it is pushed upwards. Swelling and inflammation of the joint, especially on the top of the joint. Discomfort that occurs when the weather is damp or cold. A feeling of "tightness" in and around the joint. Constant big toe joint pain, even when at rest. Irritation when the joint is moved up and down. A bump, or "hardness" at the top of the joint. If left untreated this bump (bone spur) becomes more pronounced. Eventually, even walking becomes difficult, causing limping, pain in other parts of the foot, discomfort in the knee and hip, and weight gain due to decreased exercise. Many times impairment to the joint below the big toe is simply caused by age and normal wear and tear. Fact is, every joint in our body deteriorates to some degree with age. When the foot rolls outward at the ankle, a person uses too much of their inner foot when walking, causing excessive weight and pressure on the big toe joint. Eventually, pronation causes the cartilage in the joint to compress.and wear down. When a person with high arches steps forward there is too much weight on the bottom of the foot. This forces excessive weight on the toe joint, causing compression, deterioration and tearing in the joint. When the big toe is elevated there is excessive downward pressure with every step. The big toe remains in a flexed position, causing the big toe joint cartilage to experience excessive force. Over time, this results in a thinning and wearing down of the joint cartilage. This increases stress on the big toe joint, especially if you are wearing shoes that are too tight or high heels. The joint cartilage becomes pinched between the big toe and the metatarsal, causing premature wearing and deterioration of the cartilage. The foot and ankle orthopaedic surgeons at the University Foot and Ankle Institute clinically evaluate a patient to determine if the have big toe arthritis by several means including range of motion testing, gait analysis and thorough history of the big toe pain and symptoms. X-ray evaluation is important to understand the amount of joint narrowing and extra bone (spur) formation. MRI and CT scanning can be used for additional examination of cartilage and bone damage as necessary. In both cases, dedicated foot and ankle MRI and CT allow for improved testing and the most up to date information about your condition and its potential treatment options. Big toe arthritis can cause swelling and inflammation in the big toe joint, also known as a dorsal bunion. Wider shoe gear can take painful pressure off the enlarged joint. Custom made orthotics can take pressure off the big toe. Orthotics made especially for your feet can take pressure off the big toe and redistribute it through the rest of the foot. Oral non-steroidal anti-inflammatory medications (NSAIDs), such as ibuprofen and Alleve may be recommended to reduce pain and inflammation. Remember, never takes these medications without having food in your stomach as they can cause life-threatening GI bleeds. Injections of catabolic steroid (cortisone) into the joint can reduce the inflammation and scar tissue. This type of injection often brings temporary relief. Several injections over many weeks of a normal joint fluid substitute (sodium hyaluronate) can increase the lubrication of the joint, often decreasing pain. A revolutionary new technique related to stem cells from your own body may be used to help with cartilage repair cases. The stem cells are taken from the patients own bone marrow and concentrated at the time of the visit. The concentrated stem cells are then injected into the great toe joint and may help repair cartilage damage. Cartiva is a new surgical implant that our surgeons have adopted to successfully treat hallux limitus. Cartivs is a gel type implant that our surgeons often use instead of a fusion. While fusion can be a good surgical choice in certain cases, keeping motion in the great toe is often preferred and the best option for most patients. The Cartiva implant is a synthetic cartilage implant designed to act as a replacement for arthritic joint tissue. It reduces stress between the bones and decreases rubbing of the arthritic bones against each other. Recovering from a Cartiva implant surgery is much easier than recovery from a fusion surgery. Patients are in a boot for 2-3 weeks and are then given at-home exercises or sent to physical therapy. After 6 weeks, when there is decreased swelling and improved range of motion, patients can return to regular activity and normal shoes. Read more about the Cartiva implant here. Arthrosurface is a metal partial joint replacement that has a quicker recovery than other great toe surgeries and allows pain relief and motion in the joint. UFAI’s patients are on their feet immediately and in a sandal just 5 days post procedure. The Arthrosurface procedure replaces the area of missing cartilage at the head of the metatarsal with a titanium implant so the joint alignment and function stay intact and essentially normal. This treatment has proven to be quite successful with cartilage degeneration of the big toe and ankle. The result: our doctors are able retain your joint’s natural range of motion with this minimally invasive outpatient procedure. Often they experience immediate relief. Since the first use of Arthrosurface a decade ago, about 40,000 patients have received joint replacement in their knee, shoulder, foot, ankle and hip. We strongly believe that some of those younger patients could have had a better experience with Arthrosurface’s innovative patient-matched geometries, which allow joints to be restored to their natural curvatures. Read more about the Arthrosurface here. Cheilectomy cleans (removes) scar tissue and spurs from the joint to allow for far better range of motion. Physical therapy begins shortly after surgery to facilitate joint movement and prevent scarring and stiffness. Though recovery is rapid with this procedure, it is not recommended for severe arthritis cases. Another surgical option combines a cheilectomy with a cut in the metatarsal (foot) bone to shorten and lower the bone to prevent jamming by slightly shortening and dropping down the elevated bone leading to the great toe. Recovery is somewhat slower than with traditional cheilectomy because there is a waiting time for the bone cut to heal. A screw is used to hold the bones together, which allows immediate weight bearing and early return to shoes compared (compared to not using a screw). Patients usually return to full activity after about two months. Physical therapy is also used to decrease stiffness and pain after surgery. 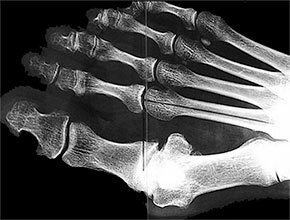 In some cases, the 1st metatarsal bone leading to the great toe joint is so elevated and loose that the laxity must be corrected. Surgery is performed by bringing the 1st metatarsal to the ground and fusing it to a bone in the midfoot. This helps to decrease arch collapse and helps with normal positioning of the foot. After the 1st metatarsal has been re-aligned, the great toe joint is cleaned of scar and spur formation. This procedure is an excellent long-term correction option and addresses the source of an elevated 1st metatarsal and jamming of the great toe. In severe cases, the great toe joint is either fused or an implant is placed to make a smooth surface much like a knee replacement implant. The great toe arthritis replacement implant option was actually clinically developed with the assistance of the doctors at University Foot and Ankle Institute. The great toe joint replacement procedure can replace either the base of the toe or the head of the metatarsal. The benefit to this procedure is continued movement of the toe and very rapid return to shoes. The downside is that the implant may not last the rest of a patients life and may need revision over a lifetime. This type of procedure is best for a woman who would like to wear high heels. Fusion of the great toe removes all motion from the joint, but also removes all pain from the great toe joint. This procedure is reserved for severe cases with a great deal of pain and limited to no motion of the great toe joint prior to surgery. 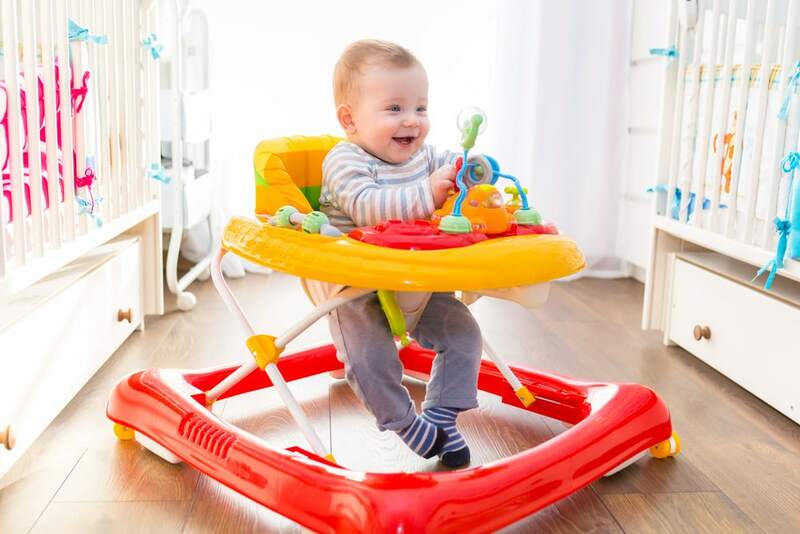 Recovery is six to eight weeks in a boot with limited weight on the foot. Patients typically return to their normal activities with no pain and the procedure is good for a lifetime. After a great toe fusion, women can usually go back to dress shoes with up to a 2 inch heel, or higher if it is wedge that is 2 inches total. Browse our patients' before and after pictures of Hallux Rigidus surgery here. University Foot and Ankle Institute is at the forefront of big toe arthritis treatment. We offer a full level of care including conservative treatments, a spectrum of diagnostic imaging MRI and CT scanning services and a dedicated foot and ankle physical therapy and surgical options. By offering a full spectrum of work up, conservative, surgical and recovery options, we are truly taking care of you in a state of the art manner without the need to go from place to place. A. It really depends on your individual condition and what type of procedure will be best for you. In regard to the Cartiva implant, you can run, but over time it may damage the implant. But we can work with certain shoes and insoles that may help mitigate the effects. But again, you may be better off with another type of surgery, depending on your condition and lifestyle. There is no one size fits all solution and a key part of the process is discovering what is truly best for you. A. No, we no longer use the Hemi implant. It is obsolete and now we do Cartiva procedure. No, it will not help at this point. In cases of late stage hallux rigidus the best options are Cartiva implant or fusion. PRP and stem cell therapy can help in the early stages. We don’t suggest both feet at the same time. If necessary we do them two weeks apart to make sure the first foot is healing well prior to doing the second foot. A. Yes, there are many replacements that can be done to get you back to normal activity. The type of replacement depends on extent of the rheumatoid arthritis and the quality of the bone. A. Fusion is better in this type of case because of the deformity. A. The Cartiva Implant has the potential to last for 20 years. It is too new to know for sure, but conversion to fusion is very easy so that is always an option, if needed, as time goes by. A. Yes, there is a new gel implant called Cartiva and is part of our Gel-Toe Protocol for Toe Arthritis. The Cartiva implant has been shown to reduce pain, improve range of motion and quality of life to our patients. It is a great option for both joints that have been previously operated on and those that have not. 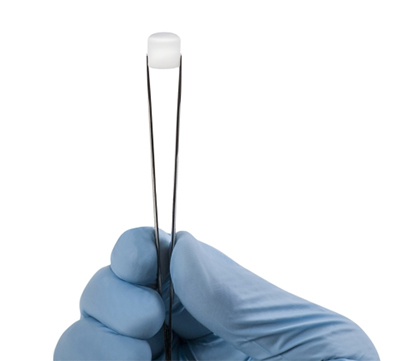 University Foot and Ankle Institute was a leader in the development of this new implant. You can view us discussing this procedure on ABC news by clicking here. Have a Hallux Limitus question we should add to our FAQ's? Please let us know by clicking here. Bunions vs. Big Toe Arthritis, What's the Difference? ‘Tis the season to be….Gouty?